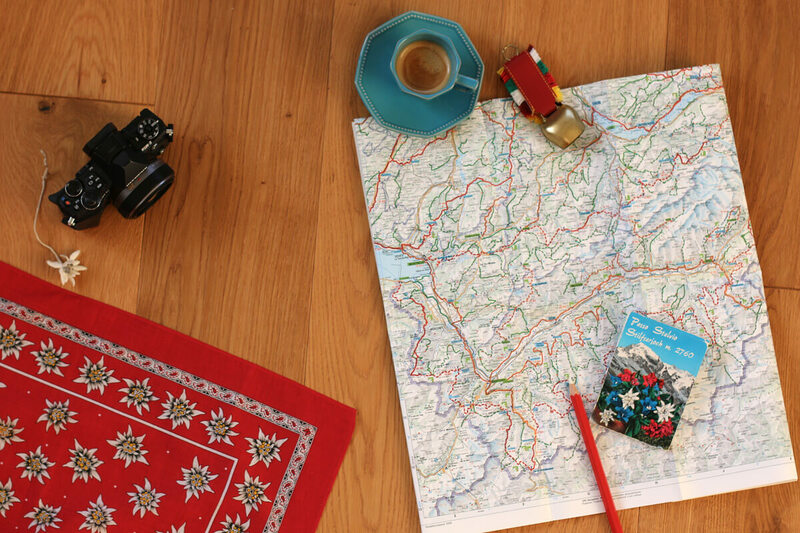 Planning the perfect trip to Switzerland can seem like a daunting task for first-time visitors. I routinely help friends and fans who email us questions like this: "Hi, we are planning a trip to Switzerland this June. My husband and I would like to see many highlights. Any suggestions?" With a dense rail network covering more than 5000 kilometers, hundreds of mountain peaks and just as many highlights and museums, it makes sense to do some research upfront. Anytime is nice. No, seriously: except for maybe November and January, I can wholeheartedly recommend a trip to Switzerland during all seasons. That's if you like skiing in early spring, exploring cities and going to mountain tops during blooming season in late spring and summer, hiking in late summer and fall or Christmas shopping in winter... To beat the major crowds, springtime and fall are best. Now that you have decided on when to visit Switzerland, on to the next step: deciding whether to travel by public transportation or by rental car once in Switzerland. There are many reasons why public transportation is the way to go in Switzerland. Trains, buses and boats are extremely reliable and clean, and they will take you even to the most remote valley. 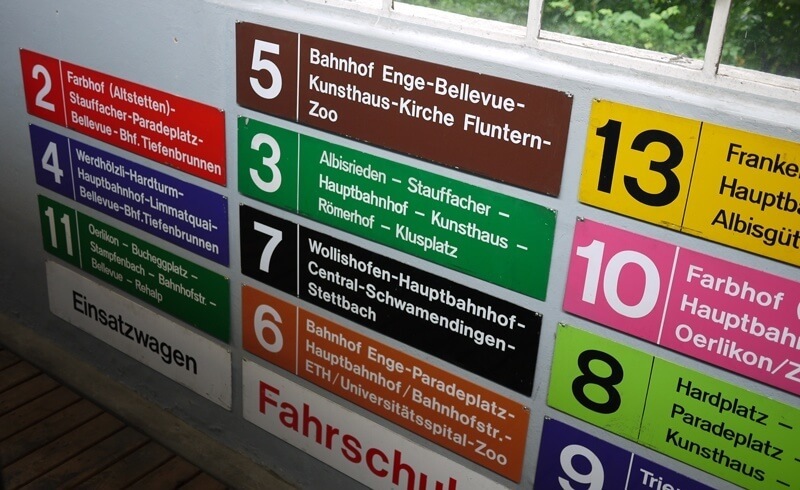 The Swiss transportation system is fairly easy to comprehend, too. All lines have regular departure times, meaning that a particular bus always departs at the same minute every hour (i.e. at :02 and :32). And the connections are smooth because Switzerland has a fully orchestrated timetable. Say you are planning to move to a different place each day and stop at highlights in between. Many train stations have luggage lockers nowadays, so you could bring your luggage along and store it in a locker for a few hours while checking out the sights. Here is a list of train stations with lockers (bring some change as some lockers do not accept credit cards). Swiss Railways offers various levels of luggage services. For instance, after checking out in the morning, you could have your luggage picked up and shipped to your next hotel. Or you could drop the luggage at a major station for shipping to your destination. Switzerland has many private train lines and mountain operators in addition to Swiss Railways (SBB). Despite this complexity, individual tickets from point A to point B can be purchased at most any ticket vending machine. In other words, a single ticket in Switzerland is issued regardless of the public transport operators that are involved. So on a basic (but not exactly time efficient) level, you could buy a number of individual tickets or day passes. The Swiss Travel Pass was designed to provide a hassle free experience for those who are traveling by train, bus and boat. 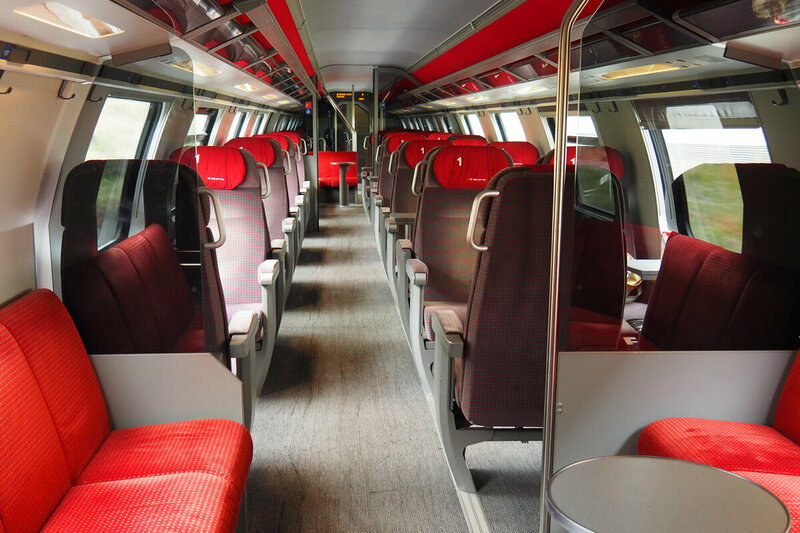 Issued for 3, 4, 8 or 15 days, the Swiss Travel Pass includes unlimited travel all over Switzerland, including in cities and on premium panoramic trains such as the Glacier Express. As an added benefit, admission to more than 500 Swiss museums is also included. But this sounds all very cut and dry. 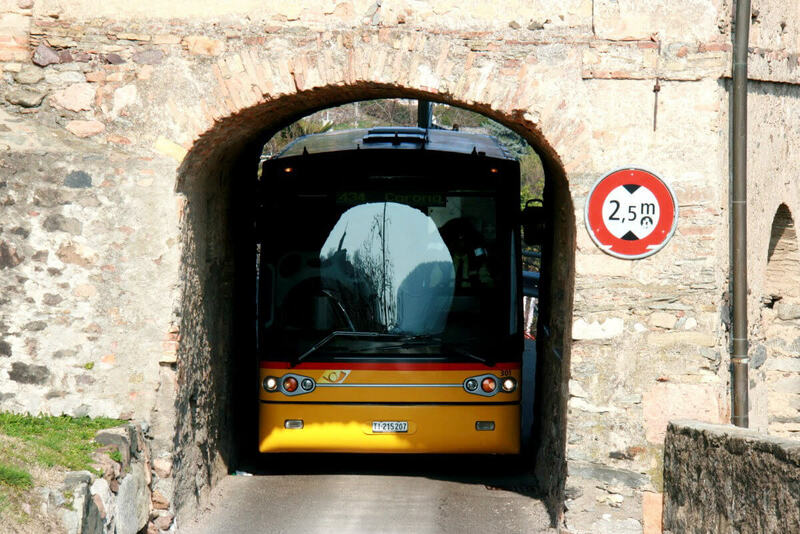 Another chief reason to use public transportation in Switzerland is more emotional: It is simply fun to zip across the countryside in cutesy trains or descend a narrow pass road safe and sound inside a postal bus. 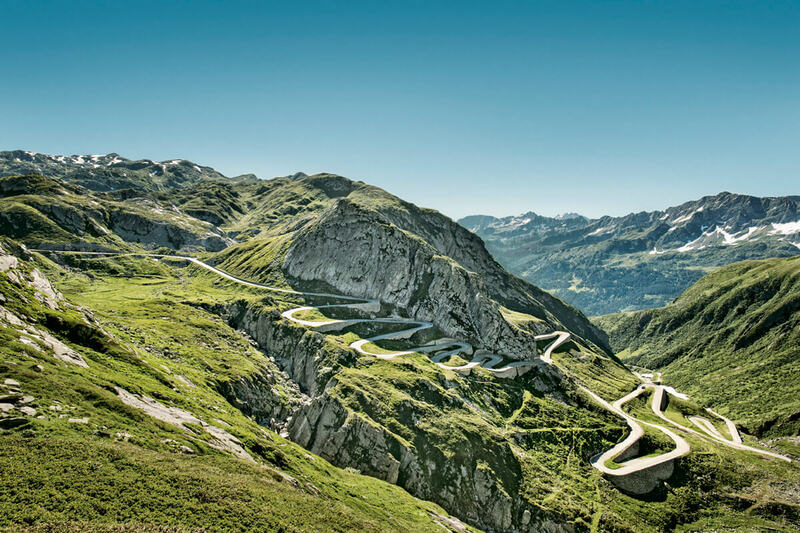 It was a British secret service agent who showed the world some of Switzerland's most scenic roads. Meanwhile, Switzerland Tourism has combined the most scenic routes as part of the Grand Tour of Switzerland, a trip littered with highlights and beautiful vistas. There are no toll roads in Switzerland but each car must have a valid freeway sticker attached to the windshield. Any rental car will have one, but be sure to purchase a "vignette" at a gas station in case you are entering Switzerland from a neighboring country. Alas, the annual road tax in Switzerland is 40 francs per car. While many roads are easily accessible even for drivers who do not consider themselves experts, others will require some guts. (Keep in mind that James Bond has a particular knack for maneuvering those tight mountain roads.) If you are used to driving on auto pilot across the Plains, you might want to think twice about crossing the Alps by rental car. For first-timers, a popular triplet to visit are Bern (seat of the parliament and UNESCO World Heritage site), Lucerne (Chapel Bridge and Mt. Pilatus) and Zurich (where to start?). The three cities in the German speaking part of Switzerland are an hour apart each, so they can very easily be checked off your bucket list. Add Basel with its more than 40 museums for bonus points. In order to experience Switzerland's southern charms, you have two choices: the Italian speaking canton of Ticino with its stone houses and palm tree lined lakes. Recommended places to stay are Locarno, Ascona and Lugano. 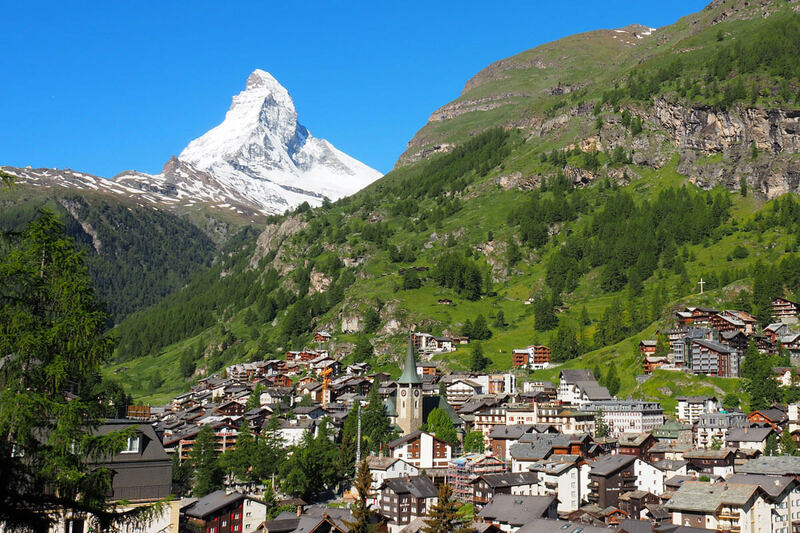 Or you pick the canton of Valais, a German and French speaking, mountainous region that is home to the Matterhorn. We have extensively covered beautiful Swiss towns to visit. But if you are still not sure where to go in Switzerland, here are nine places to see in Switzerland in your lifetime. 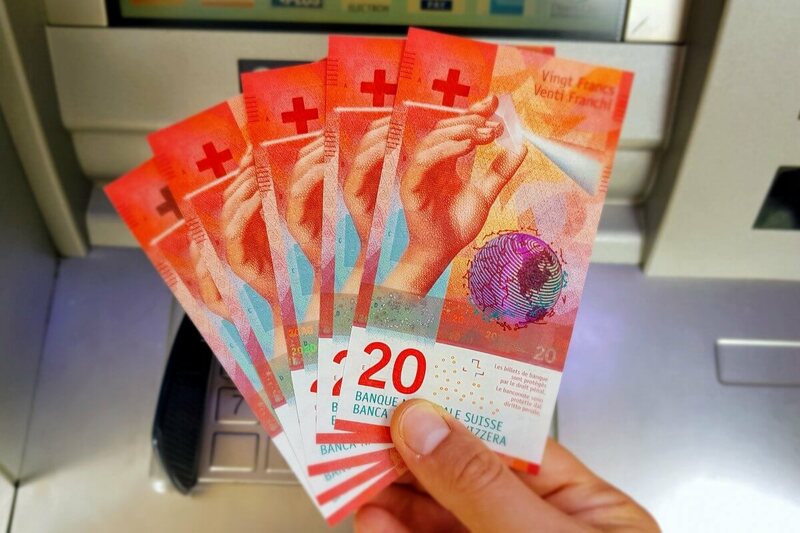 As of this writing, cash is still king in Switzerland. The currency is the Swiss franc with the abbreviation being CHF. While many smaller vendors are now accepting cashless payments, the minimum charge is usually set at 20 francs. If you just want to sit down and have a cup of coffee or a glass of wine, you will need cash to pay the bill. Also, many vending machines, some luggage lockers and definitely all roadside farmer shops will only accept cash. Good to know: Watch shops, jewelers and boutiques will accept UnionPay and MasterCard credit cards and debit cards (the latter need a PIN code for verification). So, there is no need to bring large quantities of cash to pay for that luxury watch... In any case, a credit card with a chip and PIN code is a safe bet for paying in Switzerland. Tipping is not expected in Switzerland. (At restaurants, the tip amount is already factored into the final bill.) But if you liked the experience and feel like rounding up the total, you will surely make the staff happy. Finally, you must be wondering how to pack for Switzerland. A suitcase will "suit" you fine, but remember that it might need to fit into a luggage storage compartment at the train station. For reference, the largest "XXL" storage measures 44.7 cm x 61.5 cm x 88.0 cm. Spring, summer and fall: Switzerland's weather can be iffy and it is not uncommon for a hot summer day to be followed by several days of cool, rainy weather. Temperatures drop with the sunset and a sweater will keep you warm during those summer nights outdoors. If you are planning to visit any mountain tops such as the Jungfraujoch, wear a light down jacket and proper shoes because there will be snow and ice. With the exception of Valais, temperatures in the lowlands are generally warmer than in the mountains. 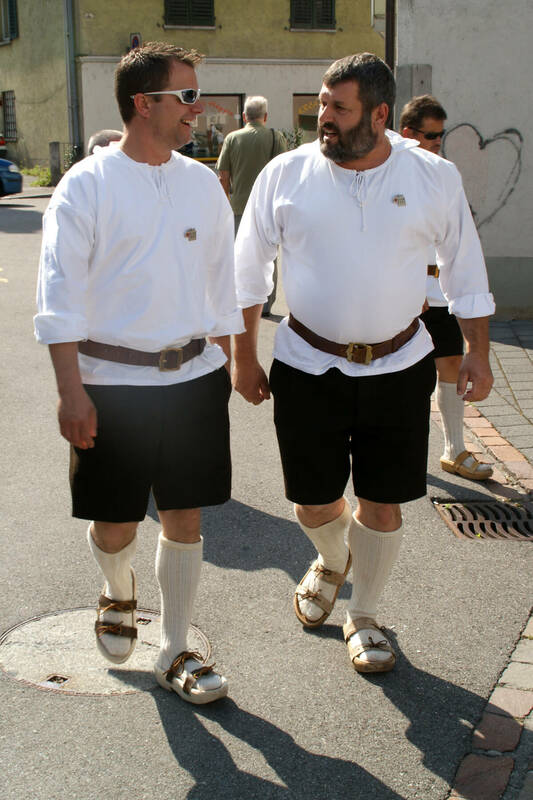 In short: Do it like the Swiss and wear layers! Jeans, a T-shirt, a fleece sweater or vest, a light jacket and a pair of sneakers will do for the guys. And for the ladies, here is a detailed summer packing list by Trimm Travels. Winter: Temperatures routinely drop below zero. This is the country where skiing was invented, so needless to say, bring enough warm clothes: a down jacket, gloves, a scarf, hats and waterproof winter boots.